Harry joined the team at My FootDr Darwin in January 2016. 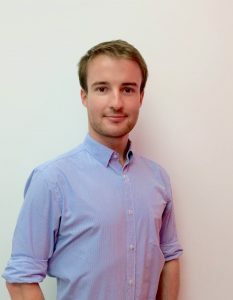 This is Harry’s first positions post university study, and he is excited to be able to expand his podiatry knowledge working alongside experienced practitioners. He is now the head Podiatrist at our Palmerston clinic. Harry is interested in the lower limb biomechanics from paediatrics through to seniors. He is particularly passionate about sports injury management, paediatrics, nail surgery and diabetic care. Outside of work, Harry enjoys sailing, fishing, swimming and travelling.